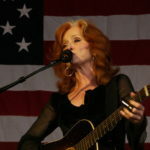 Bonnie Raitt is an American blues singer-songwriter, musician, and activist. During the 1970’s, Raitt released a series of roots-influenced albums that incorporated elements of blues, rock, folk and country. In 1989, after several years of critical acclaim but little commercial success, she had a major hit with the album Nick of Time. The following two albums, Luck of the Draw (1991) and Longing in Their Hearts (1994), were also multi million sellers, generating several hit singles, including “Something to Talk About”, “Love Sneak in’ Up on You”, and the ballad “I Can’t Make You Love Me” (with Bruce Horns by on piano).